This next track is a must-listen in the trance world. It’s from a small project and only released 5 tracks but this main track have been played by most major dj’s and is probably still being played every now and then. So which track am I thinking of? 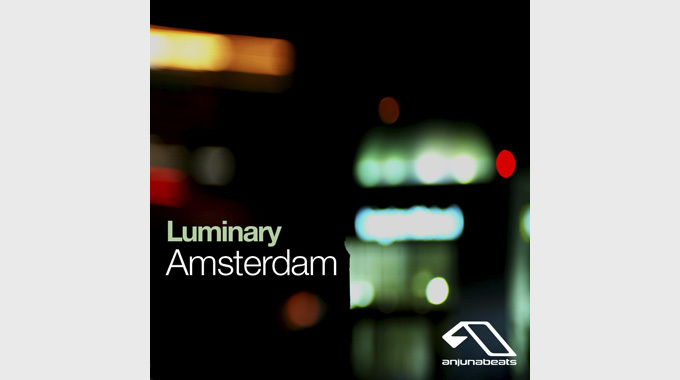 It’s ofcourse Luminary – Amsterdam (Super8 & Tab Remix). 01:50 in the next mini-break before the full melody comes on. 02:20 when the music starts to fade just before the vocals. 02:33 when the vocals start. 03:16 when the breakdown comes and that bass. 03:43 when the music starts to build up again. 04:40 when the drums start. Luminary was british producer Laurence Rapaccioli and american singer Ashley Tomberlin. Laurence was already known for his Arksun and Hidden Logic-aliases and at the time Ashley was really unknown in the scene. They started working together as early as 2003 but their first release under the name Luminary came in 2005 with the track My World. Ashleys vocals over Laurence’s track is really smooth, especially in the progressive Andy Moor-remix. The track was released as a 3×12” set whereas the first contained Original Mix and Nikola Gala Mix, the second an Andy Moor Mix and an Arksun Mix and the third a Pesh Mix and a Hydroid Mix. First released on Tiesto’s mixalbum In Search Of Sunrise 4 and later picked up by the label Lost Language, the track got huge supports by many of the best dj’s like Armin Van Buuren. The second single, Wasting was signed to Armin Van Buuren’s label Soundpiercing and featured on Armin’s A State Of Trance-compilation before the ink had dried. Wasting also came with an Andy Moor-remix and like My World, both tracks are sweet progressive tracks and Ashleys soothing vocals fits the tracks like a glove. But it was with the third single, Amsterdam that got the big attention. This time, signed to Above & Beyond’s Anjunabeats and released with remixes by Smith & Pledger and Maor Levi. Super8 & Tab’s remix isn’t featured on any singles, just as a track on various compilations like Anjunabeats Catalogue CD 33. All mixes of this track is simply amazing but i’d say that Super8 & Tab’s remix is the one that I prefer, a pure trancer. Above & Beyond loved Ashley’s voice so much that they even let her sing on the amazing track Can’t Sleep off their legendary debut album, Tri-state. Their fourth and last release, Dark Eyes was signed to Solarstone’s label, Solaris Recordings. While the original mix is somewhat of an ambient chillout-track, the Funabashi remix is really a pumping trancetrack. The release also came with a Gift Remix which is pretty decent, although too electro for me. On the 17th October 2007 Luminary announced that they have decided to split. They decided to leave a last fingerprint to their loyal followers with the track Believe which was available as free-to-download on their webpage. Laurence himself describes Believe as ”(believe) which for me personally is the best track we ever created” and I can almost agree. The track (as the others) are really well produced and got a really sweet melody under the amazing vocals by Ashley. So, what happened after this? Well, Ashley started to sing for various dj’s like Paul Van Dyk, Boom Jinx and Matt Darey, only to name a few and Laurence hasn’t really released anything since Luminary quit. It’s hard to describe a track and what it’s effects are to you. The easiest for me is goosebumps. If you’ve followed my posts since the beginning you’ll see the goosebump-points marked in the post. That if nothing describes really well what I feel when I hear a really good track. And Amsterdam is just one of those tracks that does it for me. For it’s a true classic for me. One Response to " Classic FTW: Luminary – Amsterdam (Super8 & Tab Remix) "